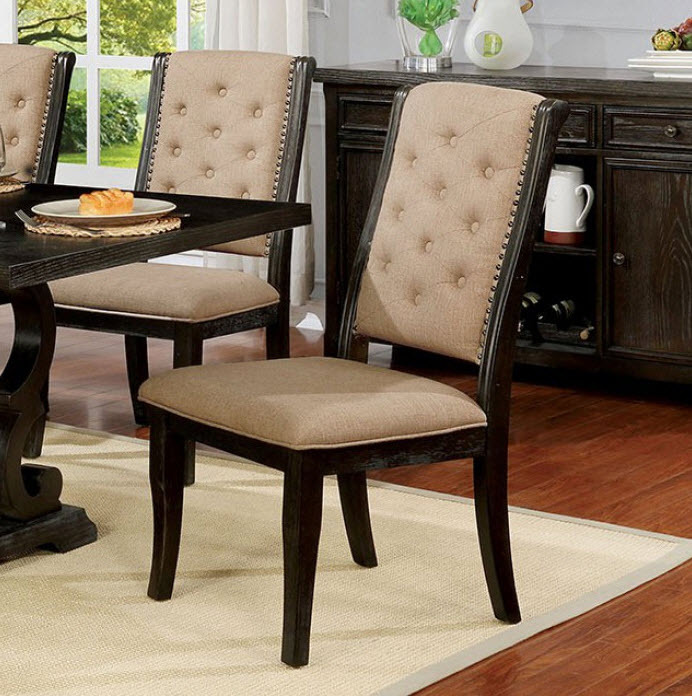 This dining table takes on the popular design idea of trestle base tables & rustic finish then utilizes it for the dining room. 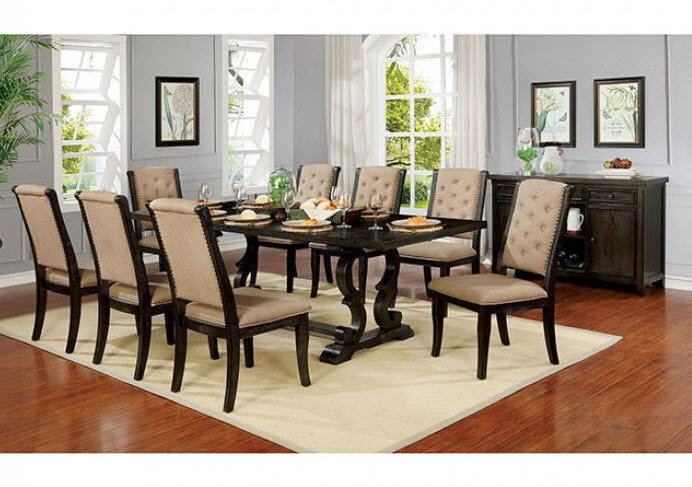 Please note that the base price only includes (1) dining table. Please add Chairs to customize this set to your liking.